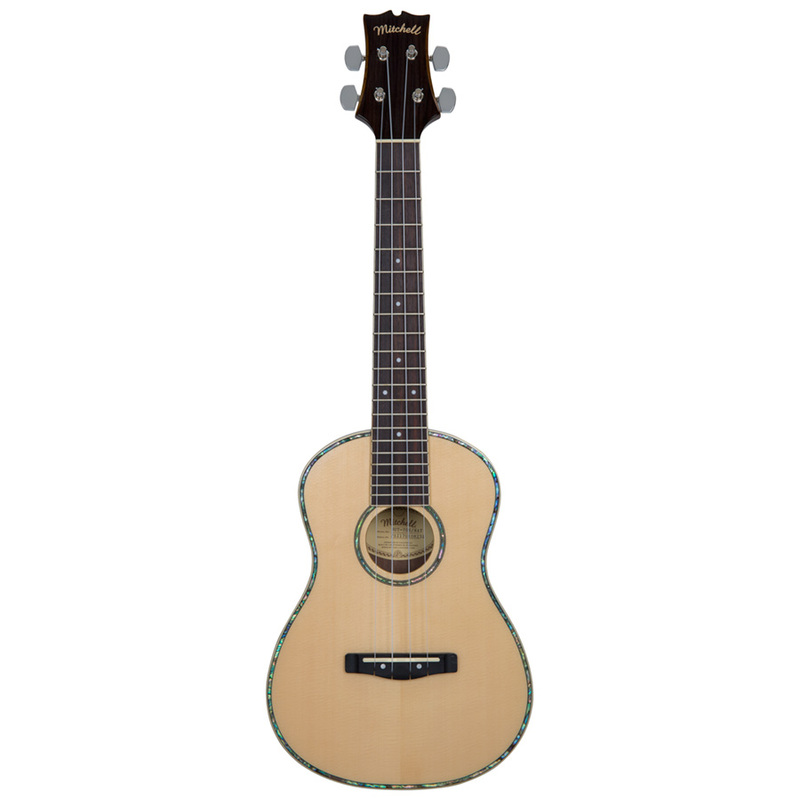 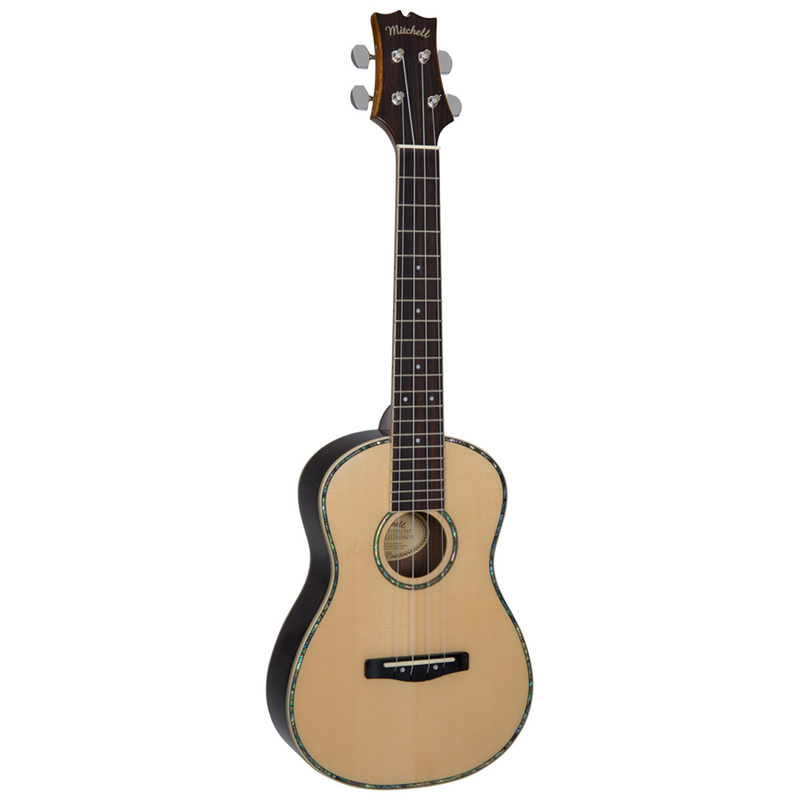 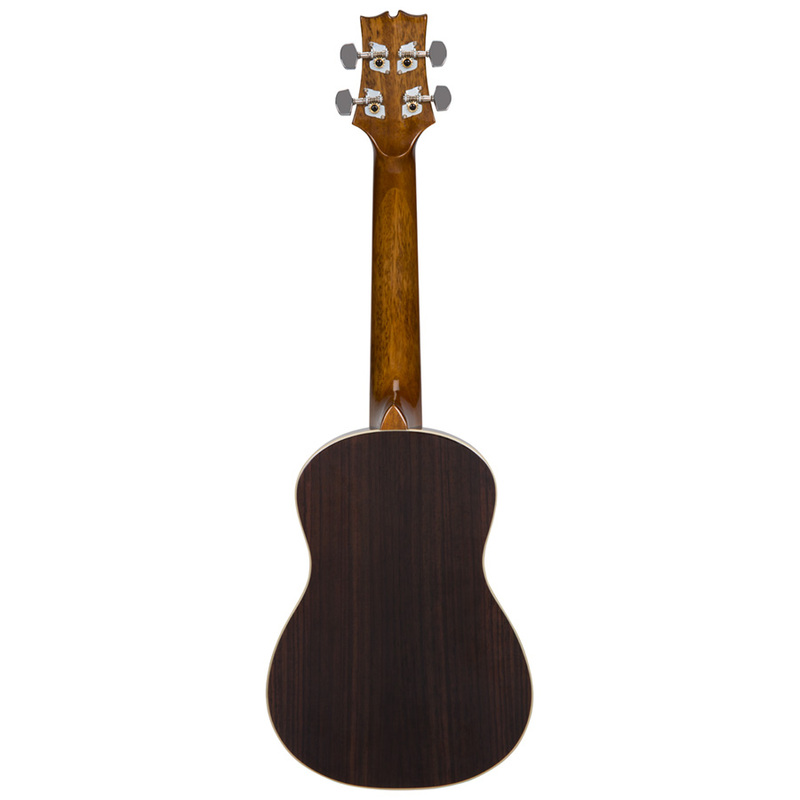 The Mitchell MUT70S Tenor Ukulele is a variation on our ever-popular MU70, but now available in a tenor size for additional low end and easy playability. 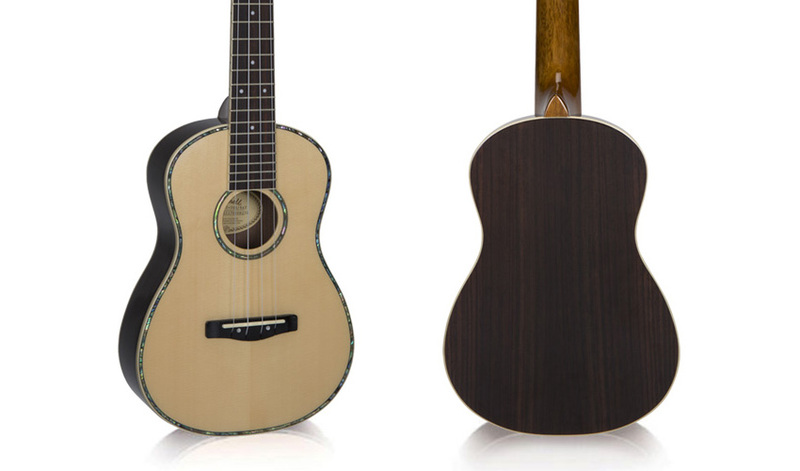 The rich tone of a solid spruce top combines with the warmth of rosewood back and sides for a well-rounded sound, while its larger scale and body provides excellent projection in any playing situation. 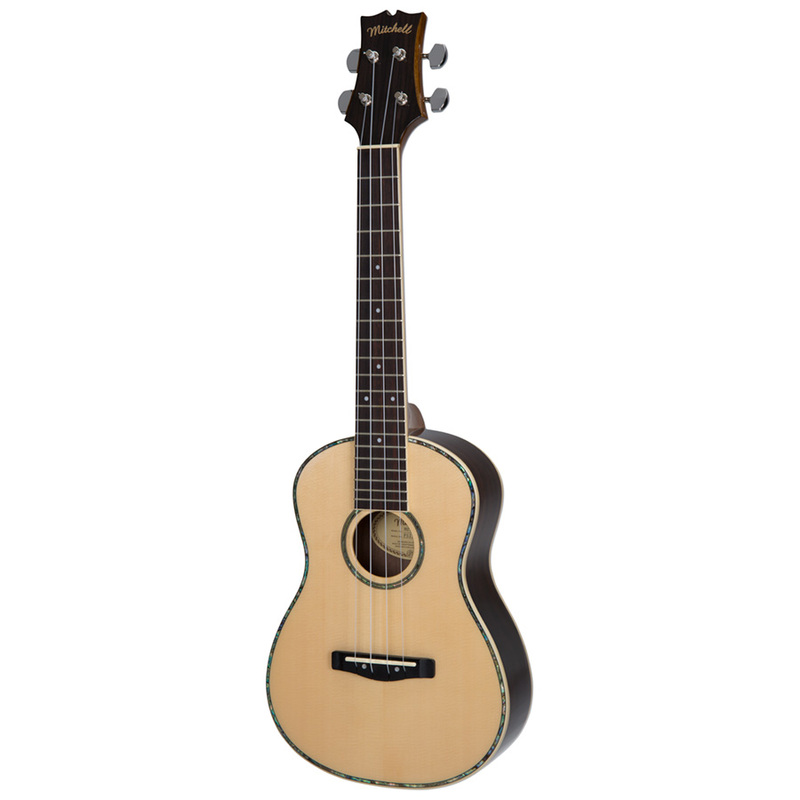 The attractive abalone rosette, mother of pearl mini-dots and natural finish give it a classic, timeliness ukulele look, while the compensated saddle provides improved intonation and tuning.